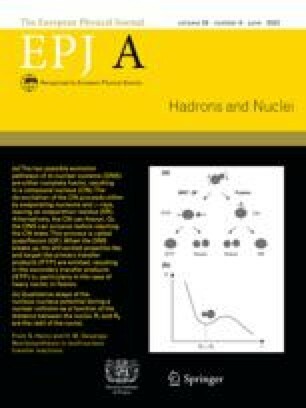 The 58Ni(n, p) and 58Ni(n, 2n) reaction cross-sections were measured from threshold to 18MeV neutron energies using the activation and off-line \(\gamma\)-ray spectroscopic technique. The quasi-monoenergetic neutron beam was generated using the 7Li(p, n) reaction. The results from the present work were compared with those of the literature and with the evaluated data from different libraries, like ENDF-B/VII.1, JENDL-4.0, CENDL-3.1, and JEFF-3.3. Nuclear model codes, like TALYS-1.9 and EMPIRE-3.2.3-Malta, were also used for a better description of the present work and literature data. The uncertainties in the measured cross-section were evaluated using the covariance analysis. The present experimental results were found to be in good agreement with those of the literature and with the evaluated data. The nuclear model code TALYS-1.9 was found successful in reproducing the experimental data for both reactions. However, the EMPIRE-3.2.3-Malta model code was found to be able to reproduce only the trend of the 58Ni(n, p) reaction excitation function. The present work provides a better insight on the comparison of both nuclear model codes. The present work is also essential for the production cross-section and the dose rate estimation of the medical isotope 58Co.